Prison Break Season 5 has officially been confirmed by Fox, but a release date has not yet been shared. 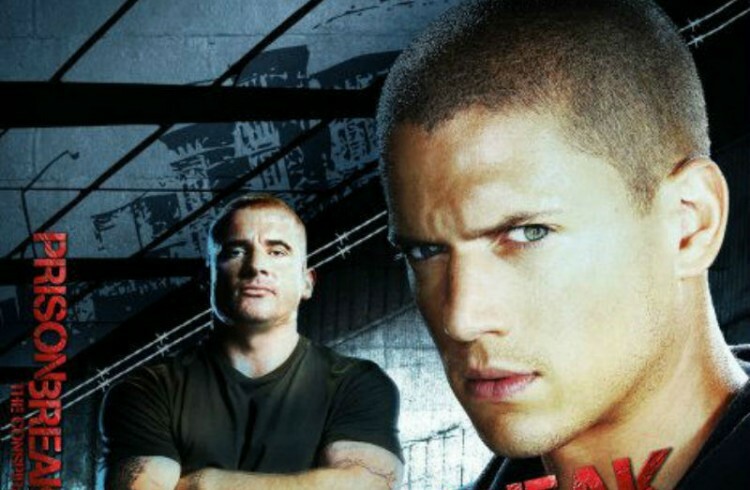 Series regulars Wentworth Miller and Dominic Purcell will reprise their roles. Many now have speculations about how the show will continue and whether there will be a prison break this time. Prison Break ended in 2009 after four years on the air. It took fans through the story of Miller’s character Michael Scofield getting himself arrested and placed in the same jail as his brother, Purcell’s Lincoln Burrows, to help him escape. Lincoln had been jailed for a crime he did not commit. Along the way, Micheal builds alliances and finds enemies, with some of them being released alongside him. According to Movie News Guide, Prison Break Season 5 is expected to be a sequel of sorts. It will pick up years after the original show ended, bringing the two brothers back. Dana Walden, Fox producer, has confirmed that it will work in a similar way to 24: Live Another Day. So far, 10 to 12 episodes have been commissioned, but there are no details of how the series will play out. So far, no release date for the fifth season has been confirmed. Whether a new title will be given to it or not has also not been confirmed. Not everyone is excited at the idea of the new season. Some people compare it to being stuck in traffic while having teeth removed. It will be a painful experience, considering the way the series ended. Melty points out that Prison Break will need to overcome the obstacle of Micheal Scofield dying at the end of Season 4. It was that finality that some fans are worried, because for Miller to come back, his character needs to come back from the dead. Many suspect that he never really died, but faked his death to help his family get away. He will be in hiding, and something will happen to make him come back. Of course, there will be the anger and drama of family and friends believing he was dead. However, the finale did go straight to DVD. It is possible that the writers will not consider that canon and create a story line based on the episodes before that. Without any official confirmation about the last two episodes, it will be difficult to speculate anything properly. Walden has said that Michael’s death at the end of the show will be addressed to allow Prison Break Season 5 to take place. She neither confirmed nor denied that the death was faked or that the last two episodes will be ignored. Many expect T-Bag to return to the series, and it is likely that he will be out for revenge against Michael and Lincoln. It could also be his prison break that people get to watch happen. According to the Fox producers, the story line pitched for the new series is both believable and logical. The full story line was not shared with Fox producers, as it is still in development. This entry was posted in movies and tagged fox river, fox tv, micheal scofield, prison break. The biggest breakout hit Empire, is back for season 2 and it’s going to be better than ever. If season one was about who gets the throne, season 2 is about warring kingdoms. Rather than try to outdo themselves in season 2, the producers made sure they did not lose what made empire such a big hit in the first place, and that included not overdosing on big name cameos. Empire premieres Wednesday at 9/8c on Fox. This entry was posted in movies and tagged empire, season 1, season 2, series.